The most common cause of hair loss is age. Whatever you do, whatever drugs or other treatment you may try, your hair will thin and slowly drop out. Using some drugs will slow this process but, sooner or later, age will win. That said, the most usual causes for loss not accompanied by any other medical symptoms are poor nutrition, stress, and some hair styles and treatments. If you are taking medication for some other condition, hair loss can be a side-effect. For these, you simply need to apply common sense, be patient and the problem will be resolved. Where drug interactions may be the problem, you need to take the advice of your doctor on whether to change the dosage or try different drugs. However, because all the required chemical reactions to stimulate growth are dependent on the free flow of blood to the capillaries supplying each follicle, anything that interferes with the flow or changes the composition of the blood can cause hair loss. Taking physical interference first, arteriosclerosis is the slow loss of volume through the blood vessels. One of the more common causes is high levels of cholesterol in a poor diet as excess platelets build up as deposits on vessel walls. Heavy smoking has the same effect. This will be accompanied by high blood pressure and possible symptoms suggesting heart problems such as angina. As to the chemical composition of the blood, many conditions can affect the hormone balance. An overactive or underactive thyroid gland may cause hair to fall out. The standard treatments for thyroid disease usually restore hair growth. In women, excess levels estrogens may need to be corrected to stop the hair loss. If oral contraceptives are being used, different dosages or a different method of birth control will often restore growth. In more serious cases, people may be looking at hair loss as a first symptom of cancer. This may be a malignant tumour or cancer of the blood including lymphoma, leukemia and multiple myeloma. Ironically, the treatments using chemo- and radiotherapy remove the rest of the body hair. In slightly less serious cases, the problems may be liver or kidney disease, skin diseases such as lupus and major infections like syphilis. 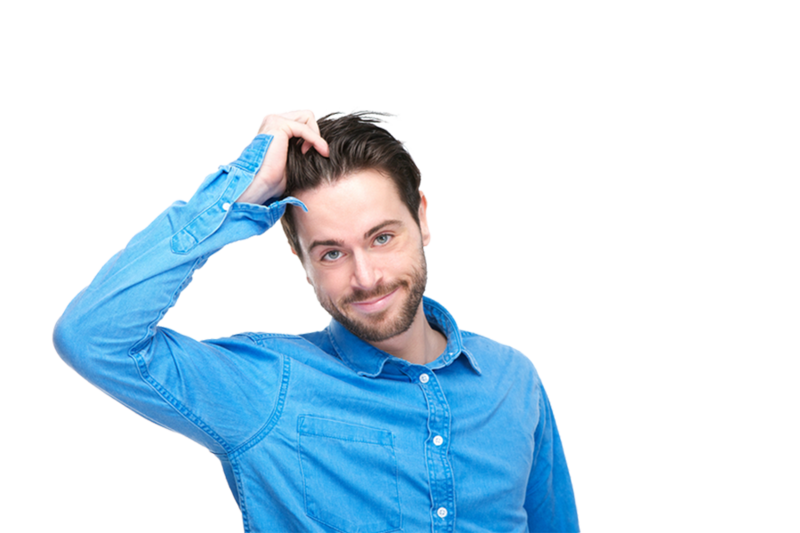 In all these cases, you must either bear with the hair loss or, in combination with any other medication prescribed by your doctor, take propecia. This will help to maintain the status quo except for the more radical treatments which cause stress and hair loss. Whether you do decide to take this drug depends on how important your physical appearance is while you are sick. In many cases, you may be too sick to care. However, there may be situations in which you feel the need to keep up appearances. In those cases, propecia is for you. It is quite slow acting but its effects are reasonably reliable.